The main museum exhibition covers an area of 800 sq. m. and unfolds the history of Karlovo and part of the Karlovo region. Exhibited also is part of the archaeological heritage of the Stryama Valley from prehistoric, antique and medieval ages. Numerous photographs show the typical architecture of Karlovo from the 15th to the 19th century. 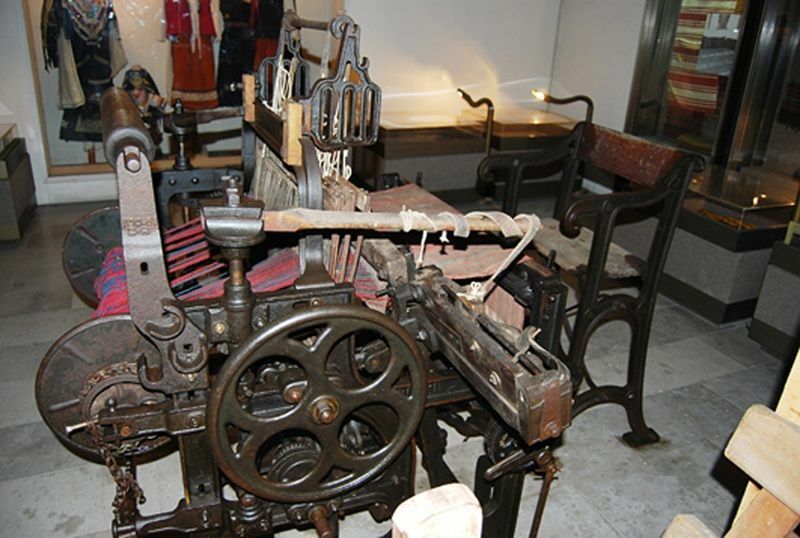 The exhibited original handicrafts show the development of numerous crafts in the town: copper, tanning, goldsmith, rose oil production, wood-carving, leather, tailoring, saddle manufacturing, flasks manufacturing, weaving, scales manufacturing, etc. 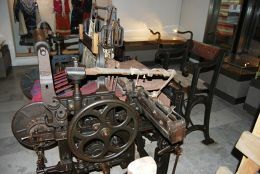 The manufacture of braids, the craft of crucial importance for the economic flourishing of the town in the period of the Revival, is in the focus of the exhibition. The exhibition reveals the comprehensive role of guilds in the life of Bulgarians during the Revival, as well as the development of large-scale trade activity by the Karlovo merchants beyond the borders of the Ottoman Empire. The museum has a rich collection of traditional clothing and fabrics from the region. Especially attractive are the kukeri costumes associated with the Karlovo traditional kukeri dances, which originated in ancient times and relate to the peoples hope for fertility and well-being. The exhibition tracks up the development of the educational work and the literary activity of a number of prominent Karlovo enlighteners, teachers, scholars and their contribution to the construction of the Bulgarian Revival culture. Visitors can get acquainted with the participation of the Karlovo townspeople in the struggle for church independence, the history and the activities of the Education Womens Society, the Karlovo Community Centre and others. 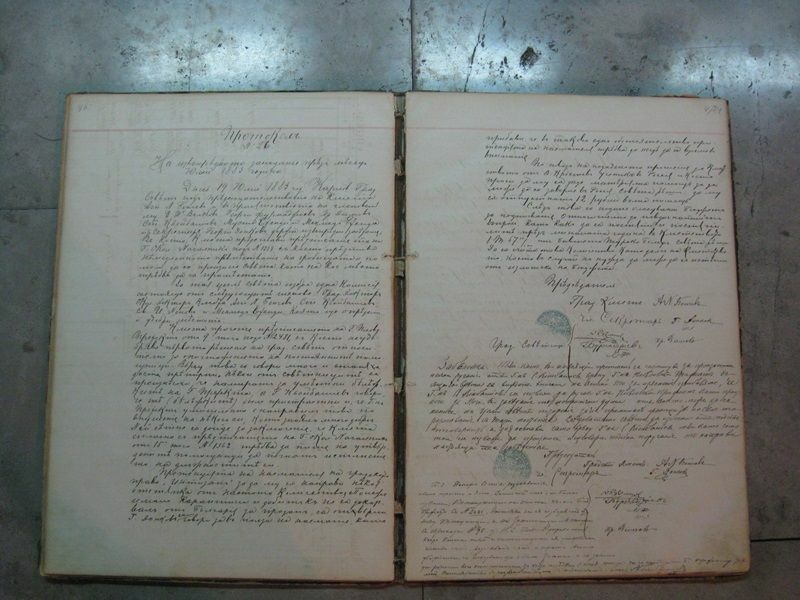 Numerous documents, personal belongings of volunteer combatants (opalchentsi) and original weapons testify on the participation of the Bulgarians from Karlovo in the 19th century national struggles and in the Russo-Turkish War of Liberation (1877-1878). The tragic events during this war, the most dramatic period in the history of the town, is called The Fearsome Times. The exhibition presents the first decades of the history of Karlovo after the Liberation and the work of the Karlovo donors Evlogi and Hristo Georgievi, the Pulievs, the Lazarovs and others. 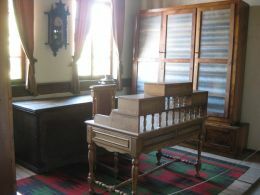 The are on the second floor is turned into an official events hall with authentic interior from the Revival. Fulling mill, wax candle press made in 1848, wooden lathe, shoe wedges machine invented by Hristo Dzhapunov in Karlovo in 1892.